Suttons Seeds has been inspiring gardeners for over 200 years. Whatever your level of gardening experience, they have a shed-load of detailed growing guides, advice and monthly tasks and gardening videos to help you and your garden grow. We decided to put their experts to the test. Each month we will ask their experts to answer your greenhouse/glasshouse growing questions. Q. I visited a Mediterranean garden, how can I recreate the look and feel in my glasshouse planting? A. What better way to imagine yourself in warmer climes, whilst the rain lashes down on a gloomy winter’s day, than creating an indoor/outdoor Mediterranean grove in your glasshouse. All it takes is a careful choice of plants plus some unglazed terracotta pots and sympathetic lighting. Citrus trees are a must for any Mediterranean garden. Easy to grow and look after they’ll be very happy growing in large pots. Enjoy their attractive dark green glossy leaves inside during the colder months and then move them outside for the summer. Early in the year your citrus trees will produce masses of tiny, highly fragrant white flowers. The perfume will waft around your glasshouse, taking you straight back to those warm evenings by the Med. Grapefruit – anyone for breakfast? 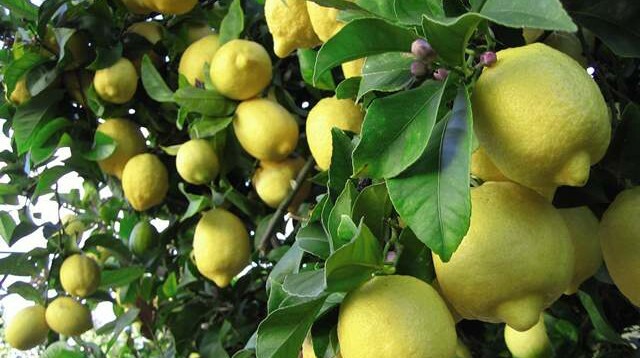 For further advice on growing citrus trees please read the Suttons Gardening Grow How website. Orange-scented Thyme – it’s always useful to have thyme growing within easy snipping distance of the kitchen. With grey-green leaves, pink-white flowers and a delicious orange perfume this plant is as attractive as it is useful. 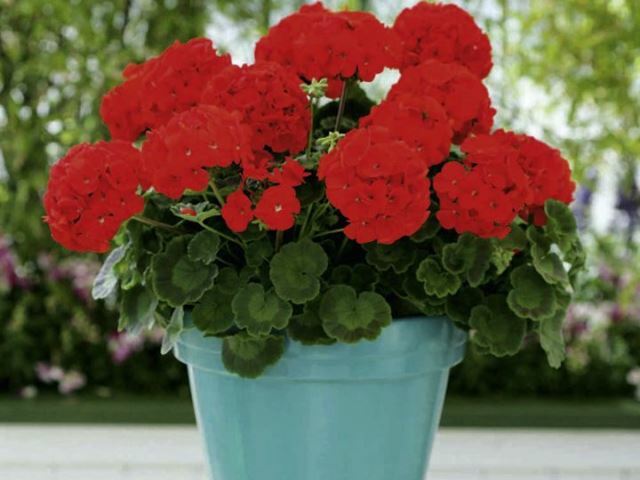 Red geraniums – at least one red geranium in an attractive pot is a must. Perhaps standing proud on a red/white checked tablecloth. Easy to grow and very forgiving when you forget to water them, it is possible to keep geraniums flowering for several months. 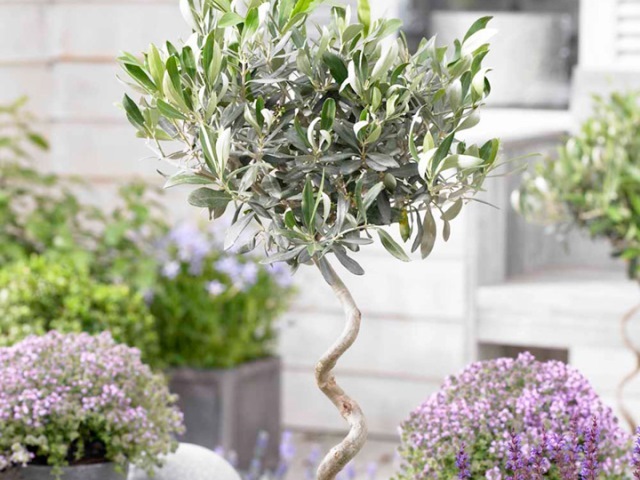 Olive tree – yes, it really is possible to grow your own olives. The plants can be kept small and neat by pruning or left to grow and spread. It all depends on the size and height of your glasshouse! 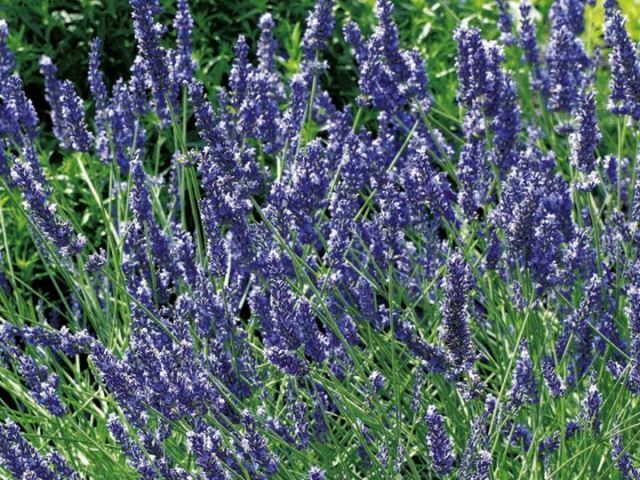 Lavender – pot some lavender up in well-drained compost and keep it on the windowsill in bright sunlight. You’ll be rewarded by the attractive grey/green foliage, the lovely fragrance plus the ability to use it as a tasty culinary herb. Pomegranate – grow your own pomegranates from seed and enjoy orange-red flowers followed by the edible fruits. Once your indoor Mediterranean garden is complete it will be the perfect place to sit, relax and plan next year’s holiday. Already a keen amateur gardener, 13 years spent working for Suttons has increased Lis Wallace’s knowledge and given her access to some real experts. Knowledge she’d now like to share.